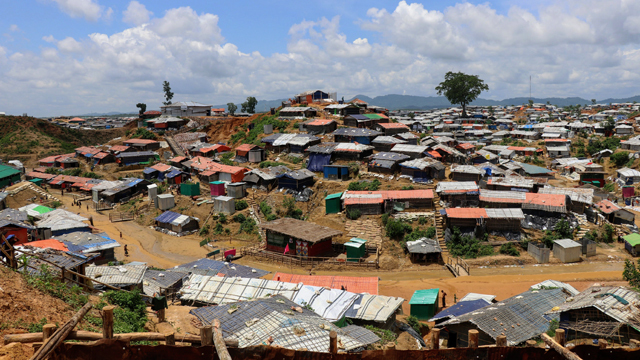 Rohingya camps in Cox's Bazar, Bangladesh. Photo: Mohammad Tauheed via Flickr, 2018; cropped. CC BY-NC 2.0. UCLA International Institute, February 13, 2019 — An amazing array of scholars who focus on migration has coalesced at UCLA over the last decade or so. This community of researchers includes roughly 50 senior and junior professors in diverse disciplines and schools on campus who do research on every aspect and type of migration, historic and contemporary, in the U.S. and around the world. Their collective expertise and interaction sustains a rich ecosphere for migration studies at UCLA that is attracting additional faculty, as well as graduate and undergraduate students. Since its creation,* the Center for the Study of International Migration (CSIM) has served as a forum where these experts can hear from researchers worldwide, share their own latest research and hear commentary from peers who look at the same issues through different disciplinary lenses. In addition to biweekly seminars and scholarly conferences, the center regularly organizes workshops and conferences at which younger scholars and/or Ph.D. candidates present their research and receive feedback from senior faculty experts. And it oversees an undergraduate minor in international migration studies at the UCLA International Institute — one of the Institute’s newest academic offerings. Just as migration crosses state boundaries, migration studies crosses disciplinary boundaries. Too multi-form to be captured by any one discipline, the phenomenon needs a broader vision that benefits from the insights of all. Migration is not simply the topic of the moment, in the headlines every day, but also a complex intellectual phenomenon that speaks to the experiences of UCLA’s ever more diverse graduate and undergraduate student bodies and captures their interests. CISM’s upcoming “Emerging Immigration Scholars Conference,” which takes place February 15–16, 2018 in Haines Hall (Rooms 279 and 352), reflects this vision of migration studies as an interdisciplinary field. The conference will assemble researchers from myriad disciplines who use a variety of social science methodologies to address migration topics located around the globe, past and present. “In bringing together today’s new generation of migration scholars, we seek at once to encourage interdisciplinary dialogue about migration and also transmit the unique insights of the exceptional migration scholars assembled here on campus,” says Roger Waldinger, distinguished professor of sociology and co-director of CISM with Marjorie Faulstich Orellana, professor of education at Graduate School of Education & Information Studies (GSE&IS). Young migration scholars from universities throughout the United States will present their research at the conference, followed by commentary by an established UCLA faculty member. The workshop will feature eight panels on such diverse topics as refugees, incorporation, policy and law, as well as two plenary sessions: a talk on new migration law by UCLA expert Hiroshi Motomura (UCLA School of Law) and a plenary panel discussion on refugee flows and human rights featuring UCLA scholars Karida Brown (sociology), Anne Gilliland (GSE&IS) and Michael Rodriguez (Geffen School of Medicine/ UCLA Blum Center on Poverty and Health in Latin America). 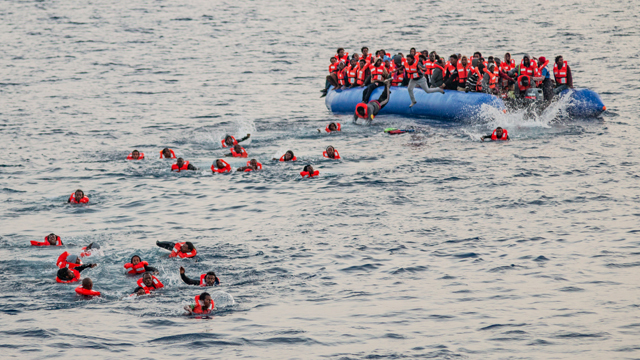 Rescue of refugees in the Mediterranean Sea. Photo: Tim Lüddemann via Flicker, 2018; cropped. CC BY-NC-SA 2.0. “There has been an extraordinary, virtually simultaneous arrival at UCLA of many excellent migration scholars across a range of units and departments,” says Waldinger. “The range of individuals and their research interests is impressive,” he adds, “and has greatly enhanced the work of the Center for International Migration Studies.” Waldinger notes that the emergence of this large, diverse, interdisciplinary community at UCLA, composed of faculty and graduate students committed to a conversation about migration that transcends disciplines, has made a marked difference for migration scholars on campus. Among the notable scholars — from assistant to associate to full professors — who have joined the faculty in recent years are Victor Agadjanian and Cecilia Menjivar (sociology); Sameer Ashar, Jennifer Chachon and Nina Rabin (UCLA School of Law); Jennifer Chun and Natalie Masuoka (Asian American Studies and political science); Amanda Armenta (urban planning); Jason DeLeon and Chris Zepeda-Millan (Chicano/a Studies, anthropology and public policy); Efrén Pérez and Margaret Peters (political science); and Carlos Santos (social welfare). “UCLA has made enormous strides in recruiting and retaining leading faculty who study immigration from various disciplinary perspectives,” says UCLA Professor of Political Science and Psychology Efrén Pérez. “That kind of synergy is rare. It is also intellectually exhilarating and rewarding to me and the graduate students who I help mentor,” he adds. In addition to Waldinger, Orellana, Pérez and the plenary speakers referenced above, senior UCLA faculty working on migration issues include Ingrid Eagly (UCLA School of Law), Laurie Kain Hart (anthropology and Center for Social Medicine and the Humanities), Rubén Hernández-León (sociology and Center for Mexican Studies) and Gail Kligman (sociology and International Institute) and Randall Kuhn and Steven Wallace (Fielding School of Public Health). The unparalleled opportunity to regularly engage one’s peers on campus is highly valued by these scholars and their students. “The Center for the Study of International Migration has brought together a truly dynamic collaborative community of scholars across the disciplines at UCLA — we have been fortunate to have an extraordinary series of visiting scholars from the U.S. and abroad present their work to faculty and graduate students,” remarks Professor of Anthropology Laurie Kain Hart, who has a joint appointment in the International Institute. “This has put UCLA on the map as a center for continuing global collaboration on such vital issues as the current and emerging European-Mediterranean and U.S.-Mexican border structures and ‘crises,’” she notes. Virtually all of these scholars will be participating in the “Emerging Migration Scholars Conference” later this week — don’t miss it! *The center began as a program of the UCLA International Institute in 2012 and became a center in 2015.